GreenDustries is not just about developing innovative packaging for the consumers but about reaching out to embrace the plethora of environmental issues that affect us now and will affect us in the future. The roles we all play in impacting the world and its ecology will lead us to better productivity. From a business sense, a packaging standpoint and an ecological view, it stands to reason that production can’t be efficient without concern for where it all leads and how it all funnels into our sensitive ecosystem. 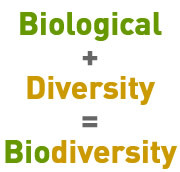 According to website Global Issues, biodiversity boosts ecosystem productivity and gives each species, no matter how small, an important role to play. This means that while humans dominate the planet we need to preserve the diversity in wildlife. But why is this important? Because the number of species of plants, animals, and microorganisms, the enormous diversity of genes in these species, the different ecosystems on the planet, such as deserts, rainforests and coral reefs are all part of a biologically diverse earth. Upsetting the balance of this biology not only threatens the earth but ultimately threatens human life. Declining biodiversity is therefore a concern for many reasons. 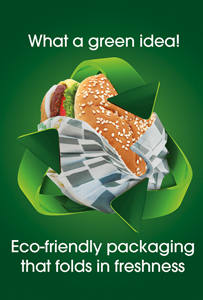 GreenDustries, in pursuit of producing the most environmentally sustainable packaging products on the planet, has committed its operation to becoming a model of sustainable production, which includes using sustainable packaging in our PleatPak and Magic Bag fast food products. We believe biodiversity is at the heart of who we are as a species. We don’t just make packaging products. We’re launching an initiative that teaches how going green is not only responsible business practice but responsible planet practice. Sorry! Come back for more! We are giving you few good days of research! Enjoy and let us know what we missed! One thing I want to say is before buying more pc memory, look into the machine in which it can be installed. When the machine is actually running Windows XP, for instance, the actual memory ceiling is 3.25GB. Adding over this would purely constitute just a waste. Be sure that one’s mother board can handle the upgrade quantity, as well. Great blog post. Hi, We will check the RSS. Thank you!